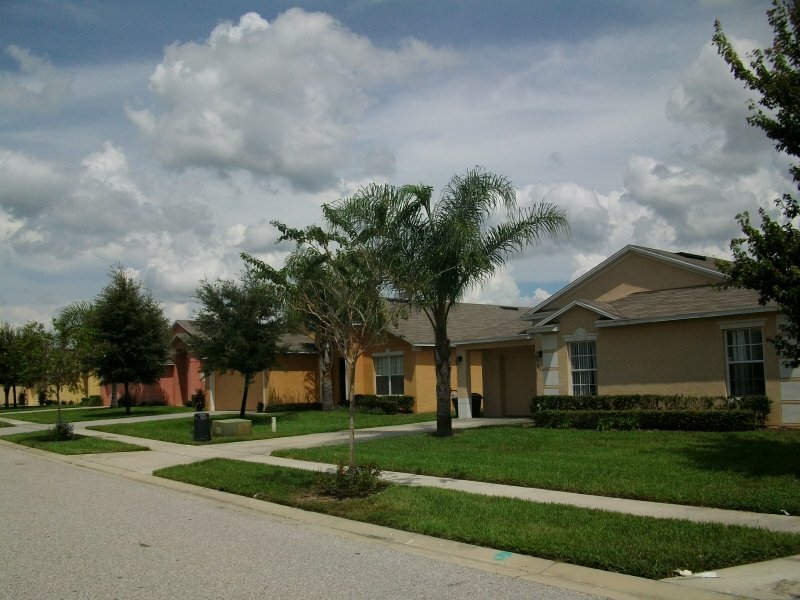 Silver Creek is a quiet family community located off Highway 127 North in the Clermont area of Orlando and is an ideal location for experiencing Florida living. Silver Creek features 3, 4 and 5 Bed Rental Homes with private swimming pool. Silver Creek is a quiet and peaceful community located in an area of natural woodland, ponds and small lakes. The entrance to the community is off Highway 27 just one mile north of the junction with the famous 192 Highway, which forms the main artery of the tourist community in the Kissimmee area. There are walkways all around the community for walking or cycling, as well as paths around the local wooded areas. Around the many lakes and ponds surrounding the community, lots of wildlife can be seen, especially in the spring, including families of Herons, Egrets, Turtles, and our famous family of Sandhill Cranes which can often be seen walking along on the sidewalk and around the pool areas. Fishing is available in the many lakes in the area with species such as Bass and Catfish in plentiful supply. Silver Creek is approximately 35 miles and 50 minutes drive from Orlando International airport. Silver Creek does not feature any on-site leisure amenities but there are numerous activities and attractions just a short drive away on Highway 192. For families with smaller children there is a brand new playground and landscaped seating area near the middle the community.